Fasten your seat belts and get ready for the thrilling debut of the new drama The Family, which will have a special premiere on THURSDAY MARCH 3 9|8c, with a second all-new episode on SUNDAY MARCH 6 9|8c, which will be its regular time slot on ABC. ABC's new thriller The Family follows the return of a politician’s young son who was presumed dead after disappearing over a decade earlier. As the mysterious young man is welcomed back into his family, suspicions emerge—is he really who he says he is? Be sure to watch The Family Series Premiere Online for FREE HERE! Joan Allen is a seasoned critically acclaimed stage, film and television actress who is best known for her work in films like Pleasantville and The Bourne Ultimatum. The three-time Academy Award nominee and Tony Award winner will be lending her skills to play Claire Warren, the mayor of the fictional city Red Pines. Claire is ambitious and manipulative, and as the matriarch of the Warren family, she is willing to leverage whatever is at her disposal in order to fulfill her political aspirations. This includes using the shocking return of her long lost son Adam who shows up after being kidnapped a decade ago as the launching pad for her candidacy for governor. As suspicion grows around the mysterious emergence of her young son who was presumed dead, Claire is more determined than ever to secure the position of a lifetime – even at the expense of her family. The Family will introduce you to the idea that nothing is ever really what it seems. There’s always more to a story that is enveloped in secrets and lies. If you’re addicted to non-stop suspense, and complex characters that are presented with residue from the past, then you will be glued to the antics of the Warren family. Their privileged status is built on a fragile foundation that is rocked to the core with the unexplained appearance of Adam, the son and brother they lost when he disappeared 10 years prior. His return sparks a series of events that exposes the dangerous vulnerability of the Warren clan. It also demonstrates how far they are willing to go when everything they’ve sacrificed is on the line. Alison Pill made her mark as one of the most appealing actresses of her generation during her time on HBO’s hit show, The Newsroom. Now she’s back in a role that will showcase her balancing the complexities of a character that is constantly shifting with the outburst of occurrences that threaten her disposition. 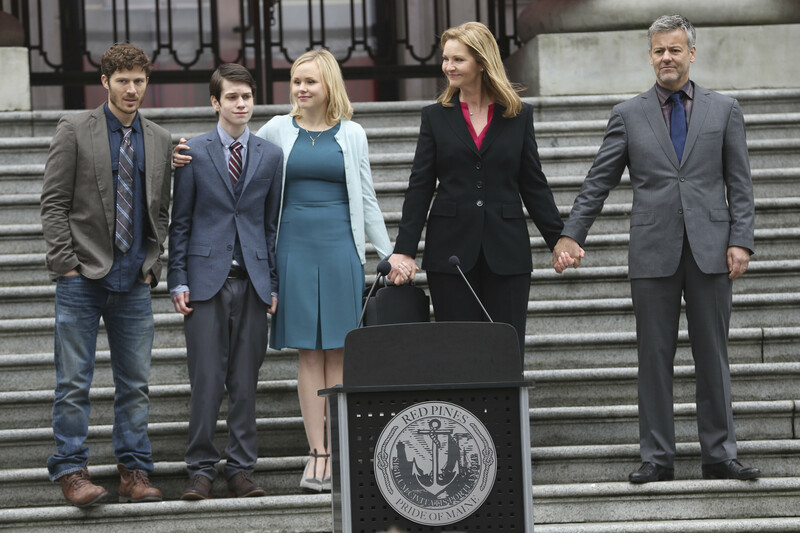 Alison plays Willa Warren, the mayor’s daughter who is also managing her high-profile mother’s campaign. The tense relationship between Claire and Willa is compounded by the arrival of her brother, Adam, who was presumed dead. How will Willa survive the unexpected changes in the family dynamics? If you were ever a fan of iconic films such as St. Elmo’s Fire, Mannequin and Pretty In Pink, you are already a die-hard fan of Andrew McCarthy. Currently, McCarthy spends a good chunk of his time as an esteemed travel writer and is editor-at-large at National Geographic. And if that's not impressive enough, he may have directed one of the jarring episodes that left you stunned on Netflix's hit show, Orange Is the New Black or The Black List. 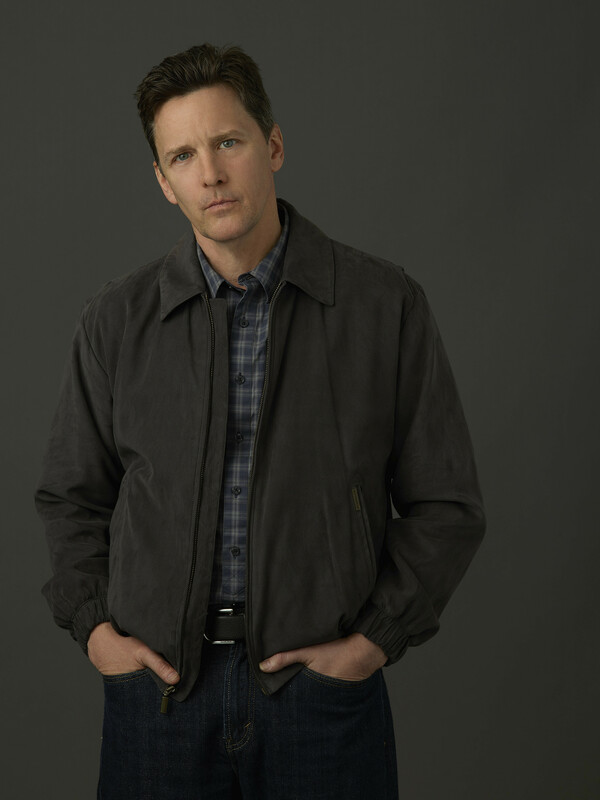 Now he’s ready for another challenge as evident in his recent casting in The Family where he plays Hank, the Warrens' neighbor who took the fall for Adam’s abduction and murder by spending 10 years in prison. How Hank’s history with the Warrens plays out as the season unfolds will be worth tuning for. You can’t have a primetime drama without the key ingredients to keep us guessing at every turn. A powerful family with everything to gain and lose, find themselves immersed in the political web of honor and status. They also have to deal with a very public reveal that threatens to resurrect the past. The emergence of the son and brother they believed was dead seems like the perfect homecoming. But as the stunned family members try to assimilate the young man who is basically a stranger to them, it becomes clear as the season unfolds that life for the Warren clan will never be the same.